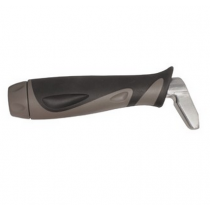 Stander is a manufacturer of mobility aid and home safety products that help individuals struggling with age or disability. 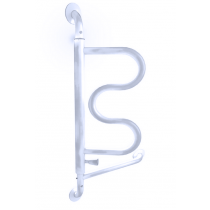 Stander Inc makes bed safety rails, travel chairs, grab bars, canes, walkers, bedroom aids, furniture aids, and other products that assist individuals on a daily basis. 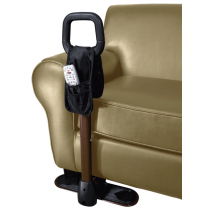 Based in Logan, Utah, many of Stander's products are designed to assist seniors to get in and out of beds or chairs safely. 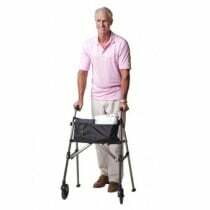 These Stander Company products are helpful in allowing older patients to maintain dignity and independence. Stander Safety Products are available in several different lengths or sizes and are adjustable to fit or adapt to individual needs. 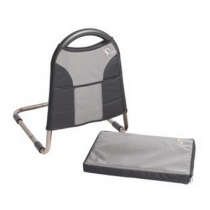 Vitality Medical carries many Stander products to help people remain mobile. Whatever your mobility needs may be, Stander has the most innovative aids to help with disabilities on the market and is constantly inventing and innovating their products with the advice and feedback they recieve from consumers. Stander Inc listens to suggestions and ideas and then designs and patents all of their products to meet the needs of their customers. Stander is not in the business of reselling existing products but takes pride in developing new innovative products to assist you to live the longer life you love. Below you will find a list of the top-selling Stander products and what makes them the unique products that they are. 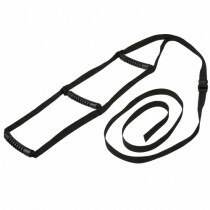 Non-Slip Cushioned Support Handle Makes Getting In and Out of Bed Easy. 4-Pocket Organizer Pouch Provides Convenient Storage to Keep Items Close At Hand. Can Be Reversed to Fit Either Side of the Bed. Safety Strap Secures the Bed Rail to the Bed Frame. Low-Profile Look to Blend In With the Feel of Your Home. 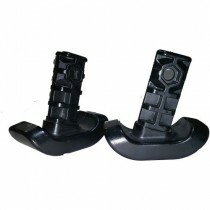 Easy-Stand Hand Grips Make It Easy to Climb to a Standing Position. Support Handle Offers Extra Support. Fits Anywhere. Next to a Bed, Couch, Chair, or Toilet. Easily Installs In Less Than 15 Minutes Without the Need For Screws or Bolts. Adjustable to Fit Ceiling Heights Between 7-10 Feet. Comes In Either Black or White to Easily Blend In With Your Bathroom or Living Room. 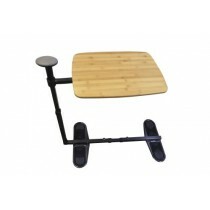 Makes Standing or Sitting Easier By Raising Recliner Height. 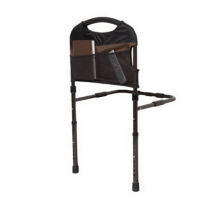 Adaptable to Fit Rocking Chairs and Reclining Chairs Alike. 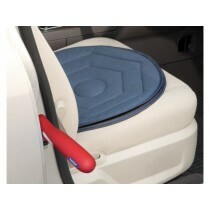 Padded Base Protects Floor From Damage or Marks. Assembles Quickly and Easily With Included Wood Screws. 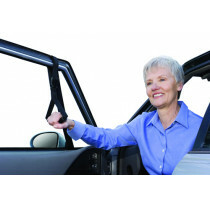 Rocker Limiter Limits Forward Tilt to Make Standing Safe and Easy. Low Profile Look to Match the Look and Feel of Furniture. World's Smallest Folding Walker Provides Stress-Free Traveling. 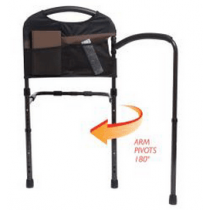 Easy-Fold Technology Helps the Walker Fold Up in Seconds With the Lift of a Finger. 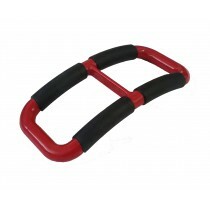 Small Base Makes it Easy to Maneuver Through Tight Spaces. 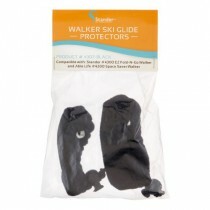 Easy-Glide Feet Ensure Trouble-Free Maneuvering Over All Surfaces. Touch-Height Adjustment Feature Enables Easy Height Adjustment With One Touch. Available in Three Stylish Colors (Regal Rose, Cobalt Blue, and Black Walnut) For a Contemporary Look. 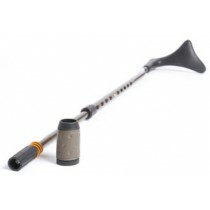 Extendable Length Offers Both Half and Full Size Lengths For Standing Support and Fall Protection. Hide-Away Functions Enables Bed Rail to Be Folded Down and Out of the Way When Not in Use. Installs Easy Without Requiring the Use of Tools. 4-Pocket Organizer Pouch Conveniently Keeps Items Close By. Safety Strap Secures Rail In-Between Mattress and Bed Frame. 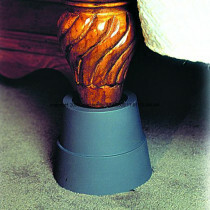 Universal Height Accommodates Any Home or Hospital Bed. Low Profile Looks Blends in With the Look and Feel of Your Home. 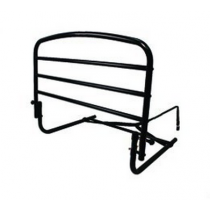 Combination Bed Rail / Hand Rail Prevents Falling and Provides Support While Standing. Hide-Away Feature Enables Rail to Fold Down When Not in Use. Can Be Reversed to Fit Either Side of Bed Rail. Low Profile Look to Match the Look and Feel of Your Home.